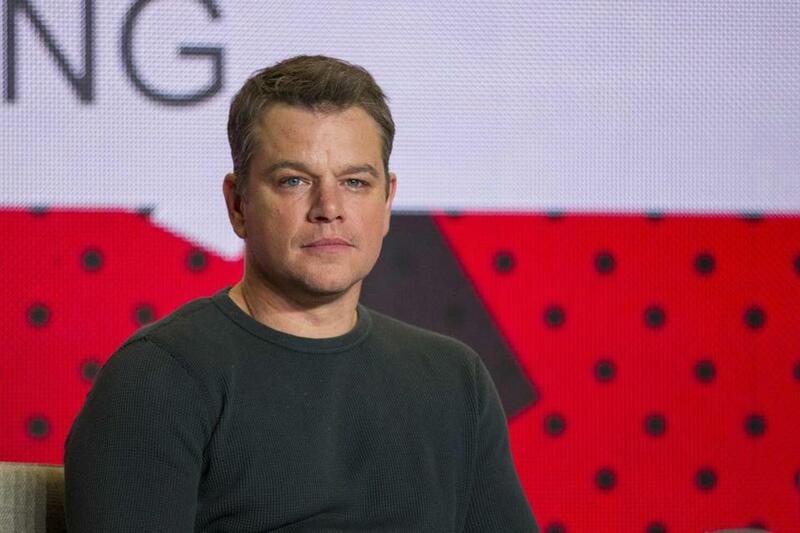 Matt Damon spoke last month at the Toronto International Film Festival. How did serial sexual harasser Harvey Weinstein get away with it for so long if his transgressions were hiding, as they apparently were, in plain sight? One answer seems to be that pretty much everyone in Hollywood looked the other way because Weinstein is, or at least was, one of the titans of Tinseltown and crossing him could put one’s career at risk. In a scathing piece for TheWrap.com, Sharon Waxman writes that, as a reporter for The New York Times in 2004, she looked into allegations of sexual misconduct by Weinstein, and the role and responsibilities of a man named Fabrizio Lombardo, who was head of Miramax Italy but had no discernible experience or expertise in film and, according to Waxman’s reporting, was on the payroll merely to help Weinstein procure women. “After intense pressure from Weinstein, which included having Matt Damon and Russell Crowe call me directly to vouch for Lombardo and unknown discussions well above my head at the Times, the story was gutted,” Waxman writes. In an interview Tuesday with Deadline.com, Damon denied any knowledge of Weinstein’s misconduct and said he would never do anything to cover up or protect such behavior. “Even before I was famous, I didn’t abide this kind of behavior. But now, as the father of four daughters, this is the kind of sexual predation that keeps me up at night. This is the great fear for all of us,” the actor said. “We know this stuff goes on in the world. I did five or six movies with Harvey. I never saw this. I think a lot of actors have come out and said, everybody’s saying we all knew. That’s not true. This type of predation happens behind closed doors, and out of public view. If there was ever an event that I was at and Harvey was doing this kind of thing and I didn’t see it, then I am so deeply sorry, because I would have stopped it. And I will peel my eyes back now, farther than I ever have, to look for this type of behavior. Because we know that it happens. I feel horrible for these women and it’s wonderful they have this incredible courage and are standing up now. Weinstein was fired Sunday evening by the company he’d cofounded and that bears his name. In a statement, the Weinstein Company said its all-male board made the decision “in light of new information about misconduct” by Weinstein. In the days ahead, there’s likely to be a lot of hand-wringing about what people knew and when they knew it. Actress Meryl Streep, for one, insists she didn’t know. A frequent collaborator of Weinstein’s, Streep issued a statement Monday saying she’s upset. “The disgraceful news about Harvey Weinstein has appalled those of us whose work he championed, and those whose good and worthy causes he supported,” she said. “The intrepid women who raised their voices to expose this abuse are our heroes. One thing can be clarified. Not everybody knew. Harvey supported the work fiercely, was exasperating but respectful with me in our working relationship, and with many others with whom he worked professionally. “I didn’t know about these other offenses: I did not know about his financial settlements with actresses and colleagues; I did not know about his having meetings in his hotel room, his bathroom, or other inappropriate, coercive acts. And if everybody knew, I don’t believe that all the investigative reporters in the entertainment and the hard news media would have neglected for decades to write about it.